I am a life long resident of the Akron area. I graduated from St. Vincent high school, the University of Akron and Case Western Reserve University Dental School. I am proud to serve patients in our community. The combination of continuing education and state-of-the-art equipment allows us to offer you and your family the high level of care you're looking for. My team and I will give you a warm welcome and our ongoing commitment to your dental health. I love creating new smiles. I enjoy "waxing up" a new patient's smile myself for their approval before the final lab work is done. This way, our patient's get the smile they deserve. A new smile can often transform a person. We end your experience whith a complimentary professional portrait session at my photography studio. Patients who have not smiled in years often find it liberating to dress up and finally show off their new smile. This is my way of showing that I care and that I love what I do. I believe no patient should be deprived treatment due to fear. I understand. I used to be that way! I want you to know that you have options for your care. If you have been written off as hopeless or labeled as untreatabe due to anxiety or other medical complications, you no longer have to settle for compromised care. 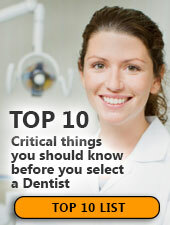 You can have your routine dental work done while you are sedated. I have been providing sedation dentistry for 25 years. I enjoy photography, drawing, painting, reading, pets, bicycling, excercise and most anything outdoors. Wake Up! With a New Smile! Check it out. It's available at Amazon.com. In 2014 I had attended over 300 hours of continuing education in implant dentistry. We finished off the year in the Dominican Republic performing sinus bone grafting procedures so that the patients could have dental implants. I was recentlly invited to a TV interview at The Hard Rock Cafe in New York's Times Square with other experts in their field. I also attended the Global Economic Initiative in NY which helps to build schools for better education in impoverished areas worlwide.